Donald Sutherland (Ordinary People) plays a Californian Public Health Inspector who suspects that people around him are being replaced by inert duplicates. Film remakes are usually considered a mixture of homage, imitation, and blasphemy. They always stir up the most heated debates among critics, movie buffs and general audiences. 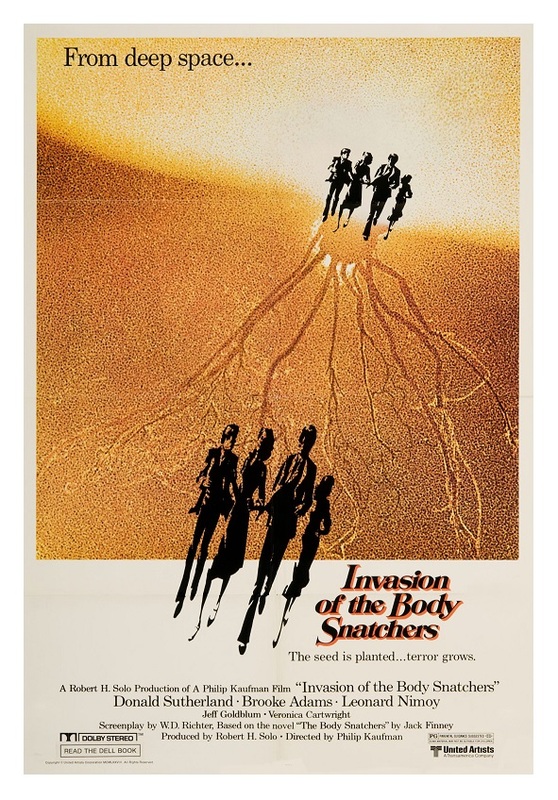 In 1978, director Philip Kaufman had the “audacity” of remaking the much-beloved 1950s science-fiction classic Invasion of the Body Snatchers — a film directed by Don Siegel that has achieved cult status. Both films were adapted from Jack Finney’s novel The Body Snatchers, but while the original film might well be considered an allegory of political demagogue firmly rooted in the 1950’s culture (as represented by Senator Joseph McCarthy and his witch hunt), the remake is a direct attack to the paranoia and contempt felt during the aftermath of the Watergate scandal in the late 1970s. It’s a valid approach, and while most remakes fall short of their expectations, this new version, in my humble opinion, surpasses the original in many ways. Deliberately paced but never boring, writer W. D. Richter (The Adventures of Buckaroo Banzai Across the 8th Dimension and Big Trouble in Little China) and director Kaufman find the right balance between science-fiction, horror and social commentary. They manage to revitalize the old chestnut with vivid new twists and turns. There is also plenty of humor. The jokes are so cleverly written into the story that they never interfere with the movie’s frightfulness. 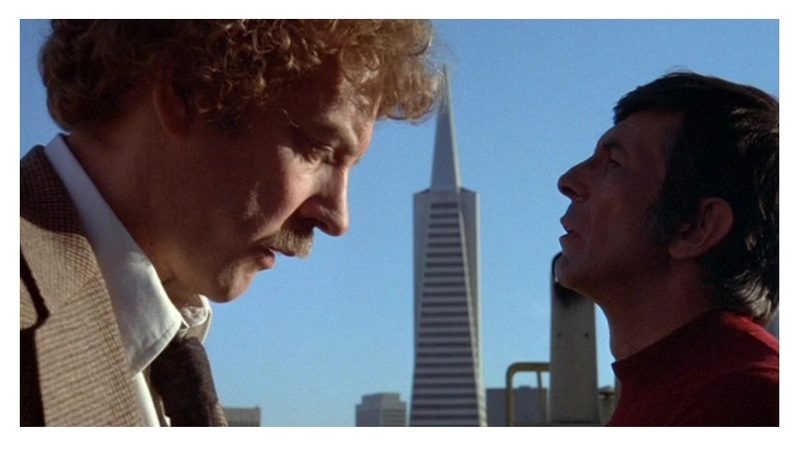 Invasion of the Body Snatchers makes fun of everything from fads to pop-culture to San Francisco hipsterness. The funniest in-joke of all is the casting of Leornard “Mr. Spock” Nimoy, who plays a therapist promoting healing through release of emotional pain. Director Kaufman is better known now for his big and critical acclaimed films like The Right Stuff, The Unbearable Lightness of Being, and Quills, but this is one of his most intelligent films. 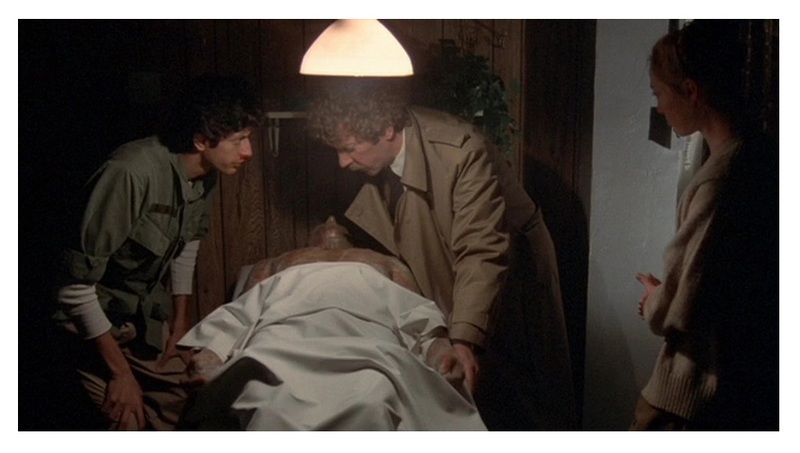 Although the movie was made with little money, Invasion of the Body Snatchers feels like a quality film all the way from the beginning to the denouement. That’s because Kaufman’s direction is very neatly compacted, building up almost unbearable suspense by subtle suggestions. The camera work by Michael Chapman (Raging Bull) is sheer genius — the expressionistic cinematography suggests classic noir. Denny Zeitlin’s music score complements the eerie sound effects (by Ben Burtt, Star Wars) well and greatly contributes to the chilling atmosphere that persists throughout the film. The great cast includes Brook Adams (Days of Heaven), Jeff Goldblum (The Fly), Veronica Cartwright (The Birds) and Art Hindle (The Brood). 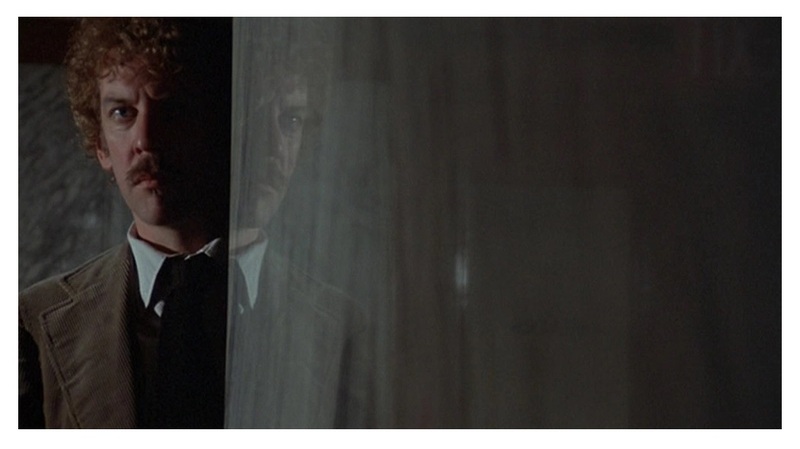 Kevin McCarthy, Don Siegel, and Robert Duvall have cameos (Duvall’s bit is particularly creepy). Invasion of the Body Snatchers is a film that dares to raise some interesting questions about our detached society, and how individuality has been supplanted by collective consumerism. It succeeds in being both relevant and scary. The story was reworked yet again in 1993 and 2007. Color, 115 minutes, Rated R.
i have ti revise this on I know that I was surprise at this one for a remake. It was so good. I usually do not like remake because they are going to mess it up but once in a while one makes it to greatness, and this one did. Nice review. Awesome adaptation to the original. I’d like to sit down and watch both versions back to back. Nice review.